A man has been charged with manslaughter following a fatal fire at a Halifax pub which resulted in the death of a 50-year-old man. Shaun McBride, 31 of Rochdale Road, Halifax, will appear before Calderdale Magistrates this morning following the fire at the Wellington Inn, Pye Nest. Andrew McGow died from injuries sustained in the blaze.McBride, who was arrested at the scene of the fire, has been remanded in custody. The fire, which completely destroyed the downstairs of the pub, started at 2.21am on Wednesday. Firefighters from Halifax, Illingworth and Elland stations were mobilised and rescued Mr McGow, who is from Halifax. He was taken to Pinderfields Hospital in Wakefield but later died of his injuries. Police initially launched a murder probe, but charged McBride with manslaughter yesterday afternoon. 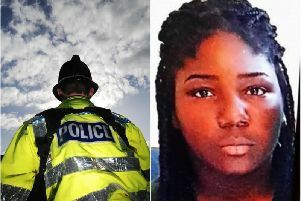 Detective Superintendent Simon Atkinson, of the Homicide and Major Enquiry Team, said police were not looking for anyone else in connection with the offence, and seeked to reassure the public that this was an isolated incident. Meanwhile, friends and family have taken to social media to pay tribute to Mr McGow. Scott McGow Tweeted: “Rip andrew moggy Mcgow, say hello to dad for me and try stay out of trouble the pair of you lol”. On Facebook Kelly Taylor wrote “Rip moggy thoughts are with all your family x”. David Thacker wrote on Facebook: “Rest in peace moggy another sad loss to so many”. Claire Sykes wrote on Facebook: “Awful news r.i.p thoughts with the family x”. Stacie Princess Preece wrote on Facebook: “Rip sleep tight no pain n suffering now god bless you x”. James Ramsden wrote on Facebook: “Rip moggy lad”. Floral tributes have been laid outside the pub on Rochdale Road.